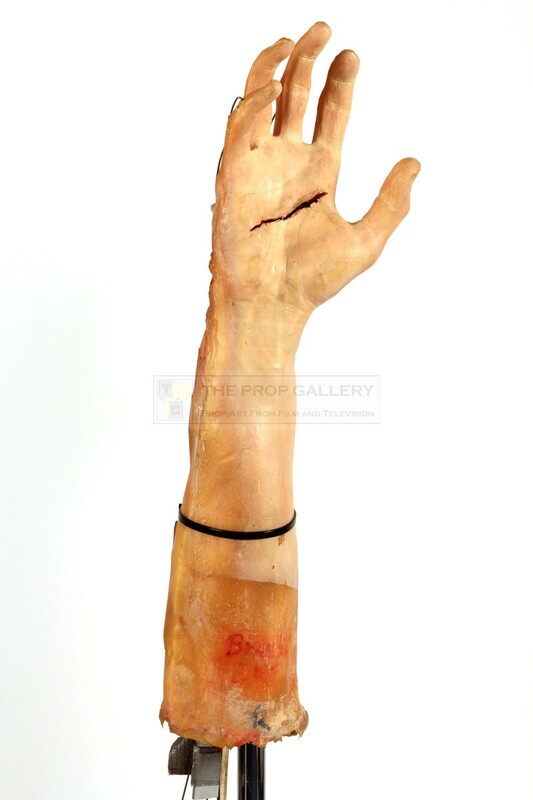 An original special effects prop used in the production of The Crow, the 1994 picture starring Brandon Lee. 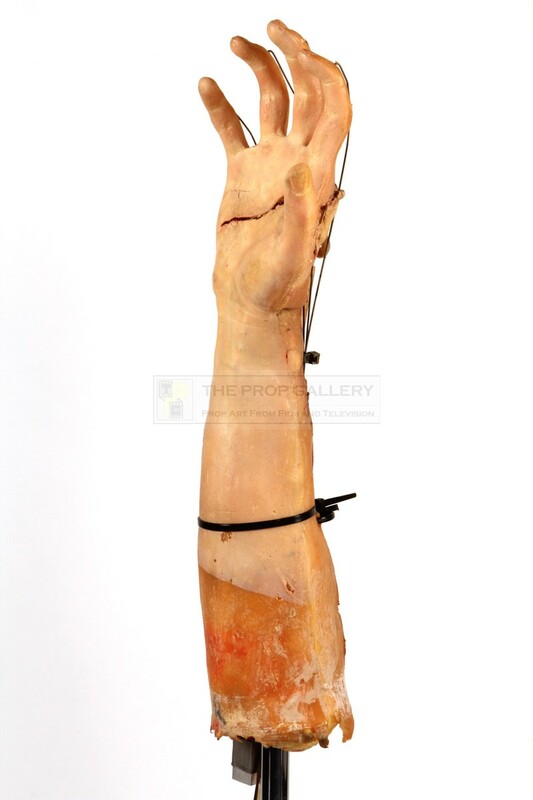 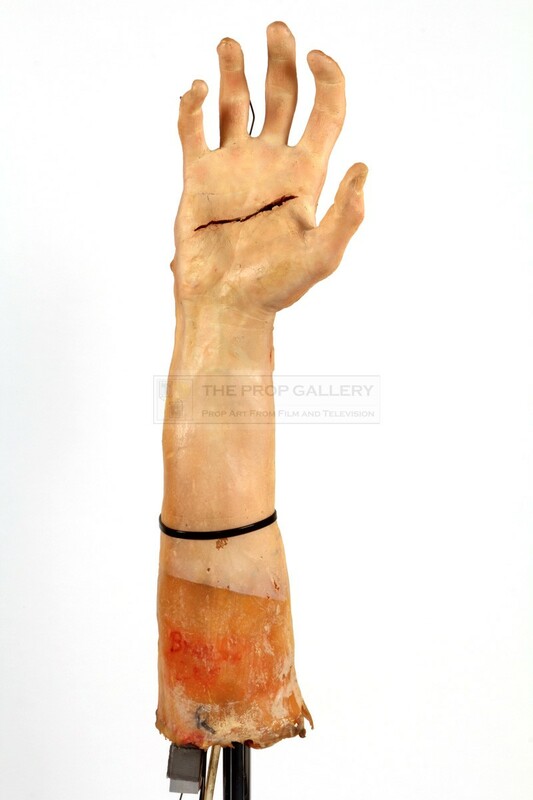 This is an original animatronic arm built by special effects make-up artist Lance Anderson for use in the scene in Eric Draven's (Brandon Lee) apartment where he discovers that his wounds heal immediately after cutting them on the window. 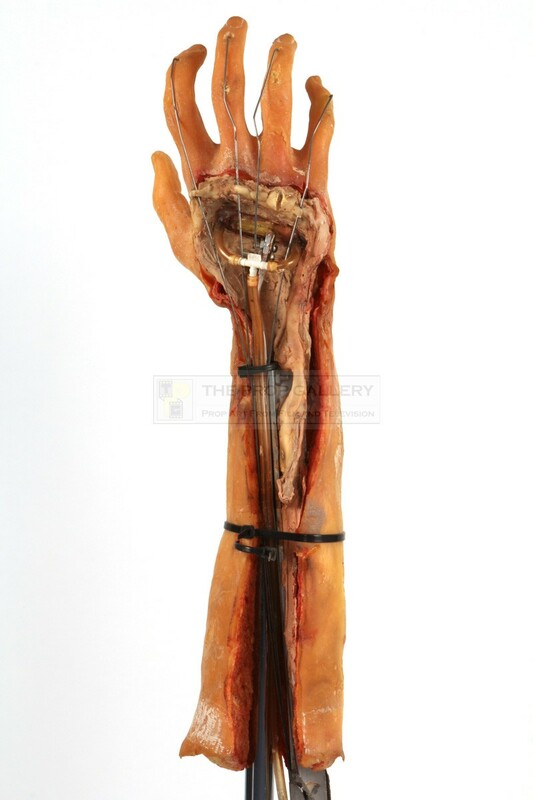 The arm is constructed from silicone moulded from a cast of Lee's arm and features a metal bar to the centre with a bloodletting tube designed to pump blood through the cut to the palm of the hand, each of the fingers feature a metal wire to allow movement with these running through the forearm and controlled from the bottom. 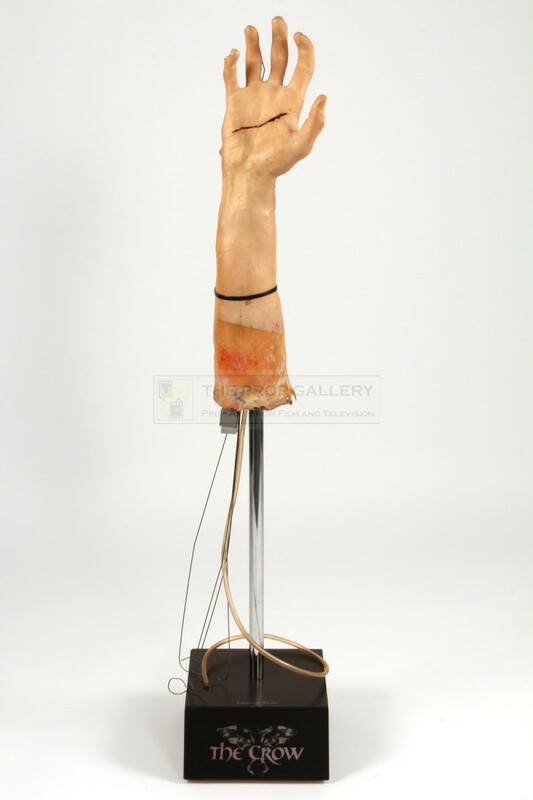 This represents a highly displayable special effects artefact from this cult picture will be forever remembered for the tragic accident which killed Brandon Lee on set aged just 28.